See empowered people in Uganda fully participating in and benefiting from tourism in their localities. Enhance the capacity of local people to harness and realise the tourism potential within their midst, leading to improved livelihoods. 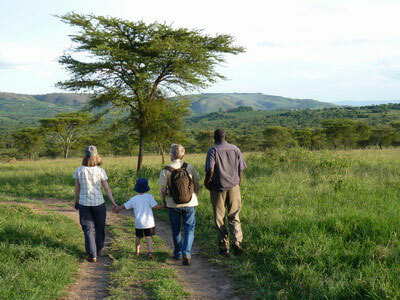 Empower Uganda communities to develop and utilize community tourism as a tool for income generation. COBATI is a non-profit tourism NGO established in 1998 to help rural Uganda communities in high tourism potential areas supplement household incomes through community tourism enterprises. The focus is mainly on empowering women through homestead tourism, handicraft production, and rural hospitality. We identified a gap between mainstream tourism, rural villages near conservation and cultural sights, and community-based products and then developed a concept to use community tourism to generate income. In 2000, the concept received recognition from the World Bank as a priority area for poverty alleviation. Since 2005, COBATI has promoted the benefits of community tourism to target communities through mentoring, on spot training, and outreach visits. Initially the COBATI concept was not supported, as tourism planners did not think of combining tourism with the traditions and cultures of indigenous peoples or consider rural communities as viable destinations. Community Based Tourism Initiative started as the idea and vision of one person, Maria Baryamujura and has grown into a locally and internationally recognized tourism NGO. We train and empower communities to harness the economic potential of their natural and cultural resources. And, we innovate ways for communities to enhance and diversify their tourism services and products. COBATI promotes sustainable rural tourism development across Uganda. We presently serve the following areas in central and southwestern Uganda: Bombo Town Council, Nyimbwa sub-county in Luwero district, Mbarara municipality, Kashari county, and Kabwohe and Bushenyi districts. COBATI won the National Geographic/Ashoka Geotourism Urban Adventure Prize in 2009. The award recognized the COBATI community tourism model which demonstrates how to integrate the “Power of Place” into the travel experience. COBATI was a nominee for the 2008 Commonwealth Business Council CBC African Business Awards in the Leader in Social Innovation category. In 2006, COBATI Founder Maria Baryamujura was elected to the Ashoka Fellowship, a global association of leading social entrepreneurs. She was selected in recognition of her vision, commitment, and innovative solutions to use tourism as a tool to empower rural people to improve their livelihood using traditional skills, the environment, and natural and cultural resources. COBATI was a finalist in the World Bank sponsored competition Development Marketplace 2000.